Sylvia Adamcik is an interdisciplinary artist based in Toronto that works with web and interactive elements. Recent projects include site-specific installation, media object re-appropriation and immersive exhibition environments. Sylvia holds graduate degrees in fine art, forest conservation, public policy and an undergraduate degree in history. She believes that in an increasingly complex world, there is an ever-growing need to gain a breadth of disciplinary perspectives and that managing complexity requires forging connections between and among disciplines. This is an ethos that guides her academic and professional pursuits. By participating in the IDS program at the Institute without Boundaries, Sylvia hopes to bolster her ability to examine complex systems and challenge the confines of traditional design. 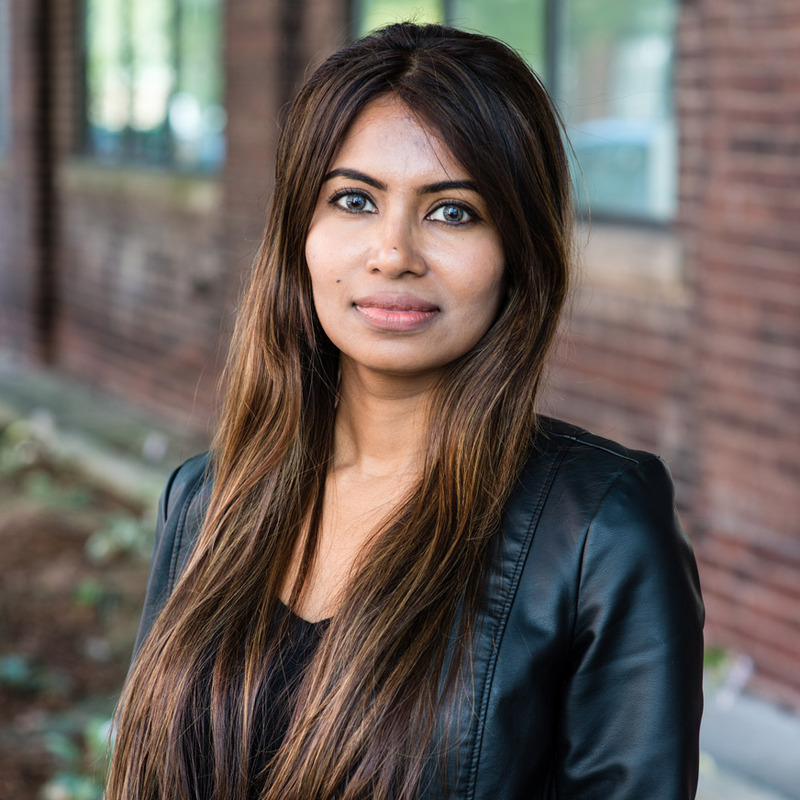 Himadri has over 6 years of experience as a brand manager and product designer for businesses, government ICT projects, and mission-driven organizations in the global South. These experiences have left Himadri with a deep sense of empathy and a determination to help others feel empowered and abundant. Himadri completed her Bachelor of Arts in Computer Information Systems at the Metropolitan State University in Minnesota, USA. On top of her love for designing digital experiences and street photography, she is an avid traveler and fascinated by the possibilities that artificial intelligence, virtual reality, and outer space have to offer. She was born in Bangladesh, raised partly in Iran, worked in a number of Asian and African countries, and recently made Canada her home. 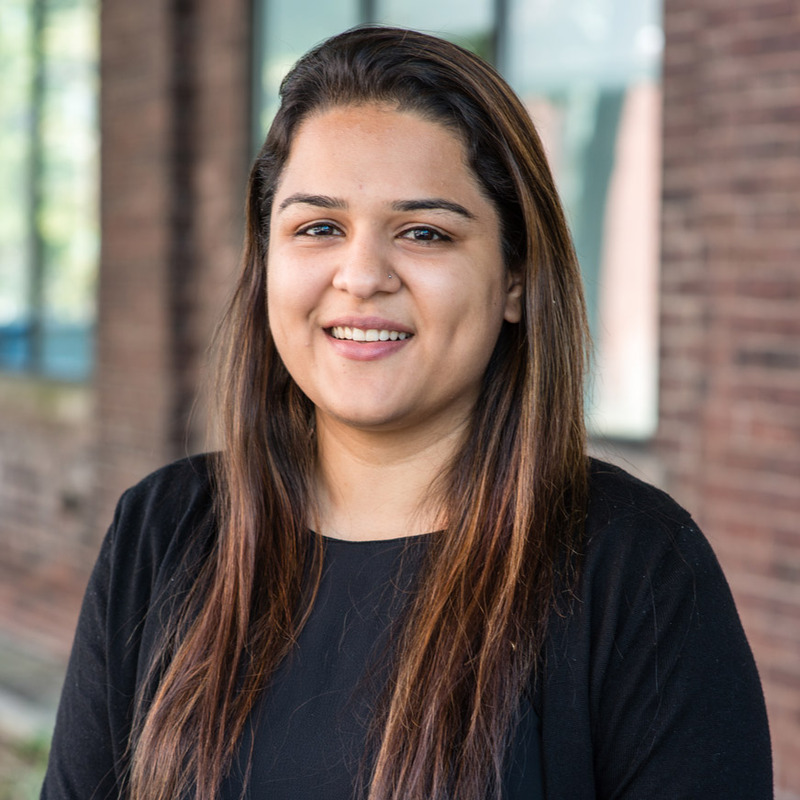 Himadri decided to join IwB’s IDS program to be able to apply design thinking to her multiple creative pursuits, especially in helping to create sustainable positive changes in the lives of vulnerable people around the world. Fatima was born in Lahore, Pakistan. She came to Toronto to continue higher studies at the University of Toronto. Her passion for design brought her to where she is today. Since she was young, she always kept busy by designing with whatever she could see around her. This passion directed her toward studying architecture. Her focus is to be successful in operating her mind in a way that makes her think of design in every aspect of daily life. Her family supports this path and wants her to break all the boundaries to become a successful designer. Fatima decided to attend this program because of the diverse opportunities it provides and to broaden her views about design. Her personal interests revolve around design as we see design in everything. Shawn is a theatre set and costume designer who has worked on a variety of projects in Canada, the US and the UK. This includes productions for small independent companies right up to Canada’s largest theatres. In addition to set design, Shawn is an Associate Professor at York University's Department of Theatre and a strong believer that with good material and strong collaborators, work at any scale can be engaging and challenging. Shawn was formally trained in theatre design at the Sadlers Wells School under Motley in London, England. She also studied drawing and painting at the New Brooklyn School, the Arts Students’ League, and the New York Academy of Drawing, Painting and Sculpture. By taking this course program, Shawn is hoping to widen her understanding of design and its potential beyond theatre. Yvonne was born and raised in Toronto. She enjoys challenges, problem solving and is interested in how good design can impact communities and improve the human condition. 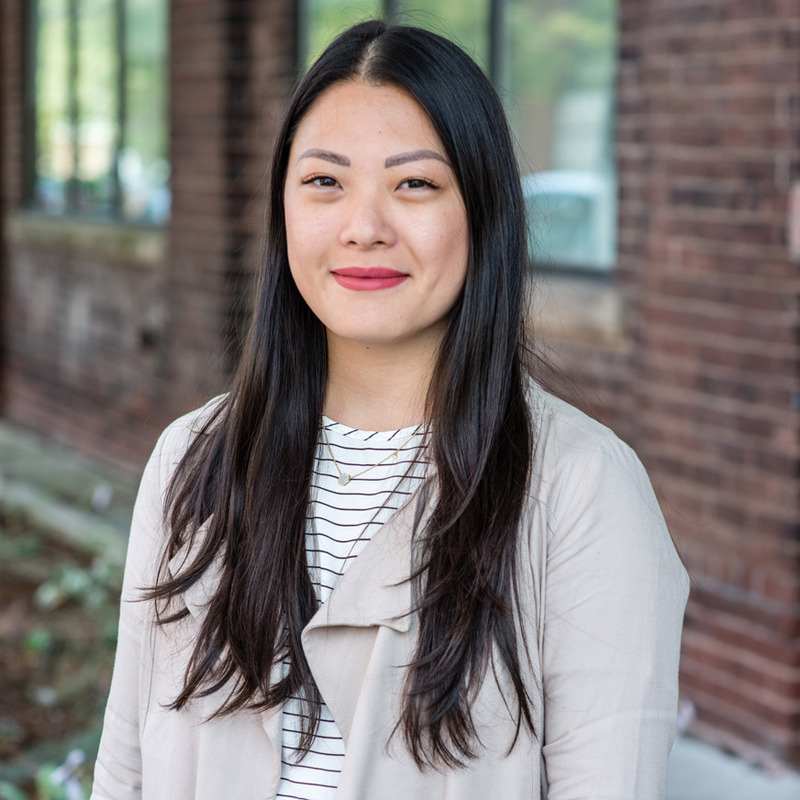 Yvonne attended OCAD University and graduated in 2012 for Environmental Design, specializing in Urban Ecology. She had intentions of continuing her education with post-graduate studies in the design, but it was put on hold as she entered into Retail Management after graduating and began to pursue a career with Luxottica. It was during her time working there when she got involved with their non-profit charity OneSight and understood how significant a basic need like sight could be to shaping an individual’s life. Yvonne’s first volunteer clinic was in Xi’an, China where they ran a vision clinic for a rural community and worked alongside a Stanford research organization called REAP with their “Seeing is Learning” program. It was here where she realized the importance of sustainable practices on a global scale and this is what re-ignited her interest in human-centered design and how it could play a role in solving problems. 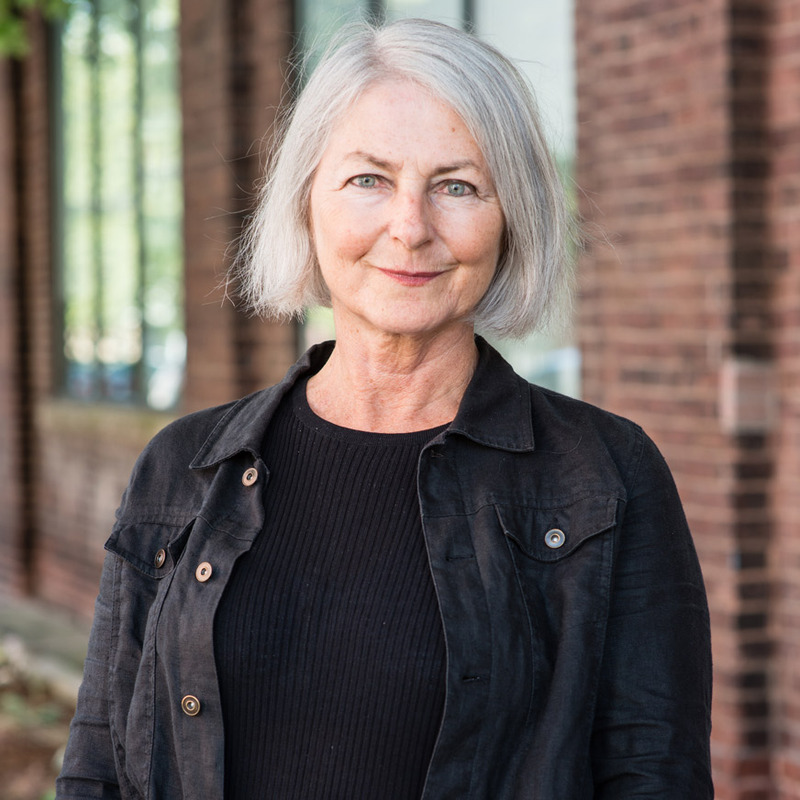 This led Yvonne to the IwB, as a way to collaborate and explore the possibilities of using interdisciplinary research, innovation and design strategies to create practical solutions, connect communities and influence positive change. In her spare time, Yvonne enjoys reading, travelling, Netflix marathons, spending time with her dog Baylee and helping her boyfriend with his freelance design projects. Eilish McVey is a recent graduate from Emily Carr University of Art Design, and holds a BA in Industrial Design. Two interests developed during her studies include design & research in healthcare, and ecologically sustainable design. During her final year of school Eilish worked for Emily Carr University’s Health Design Lab as a design researcher. She worked within a team to research a client’s current health care facilities, and through a patient centered approach, generated innovative and appropriate solutions to create a sense of home within sterile hospital environments. Throughout her graduation thesis project, she partnered with British Columbia Institute of Technology to create a portable diagnostic lab - a portable battery powered incubator that is used to facilitate a test for pneumonia, operated by community health-workers in places around the world with limited medical resources. Eilish’s goal in studying design has always been to create a positive change in the world. She hopes to create meaningful products and systems that have a positive impact on the way we live and to contribute to a world that is ecologically, socially and economically resilient. 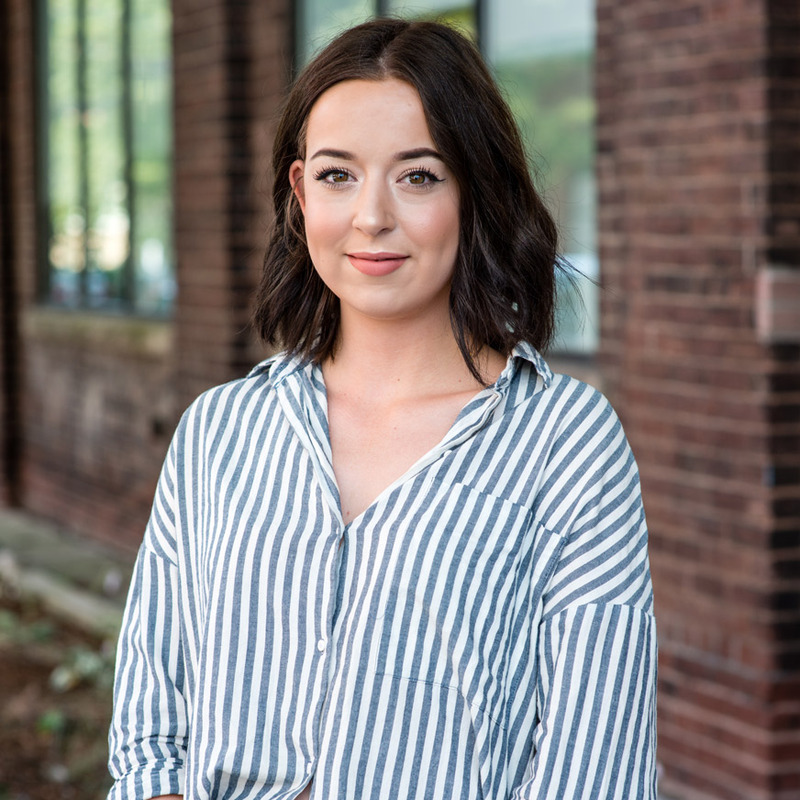 By attending the IwB, Eilish hopes to build on her user centered design process, developed through her studies in industrial design and apply those skills to design problems of a larger scale including service design and design strategy. Using his imagination to create something new has always been a passion for Dennis and this is what influenced him to pursue a career in Architecture. 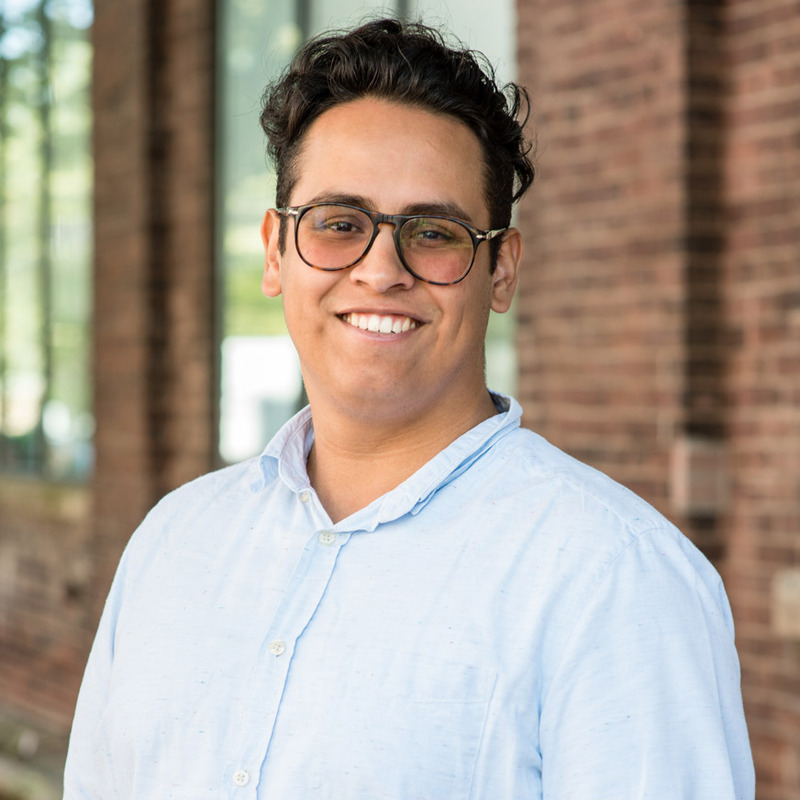 Through his undergraduate studies at George Brown College, he gained the knowledge and skills to create innovative and sustainable structures. Heading straight into the industry and applying these skills was the next logical step; however, Dennis wants to take a less conventional approach to Architectural design. His studies broadened his view on how creative and conscientious design can improve not only our structures, but our cities and the communities that reside within them. Dennis is excited to join the IwB, and learn the design strategies that can help to create ‘smart communities’ that promote positive growth for our society. Dennis enjoys reading fiction, listening to records at home, sketching, going to festivals, hiking, and exploring the city. Camille has a background in social justice and youth leadership. 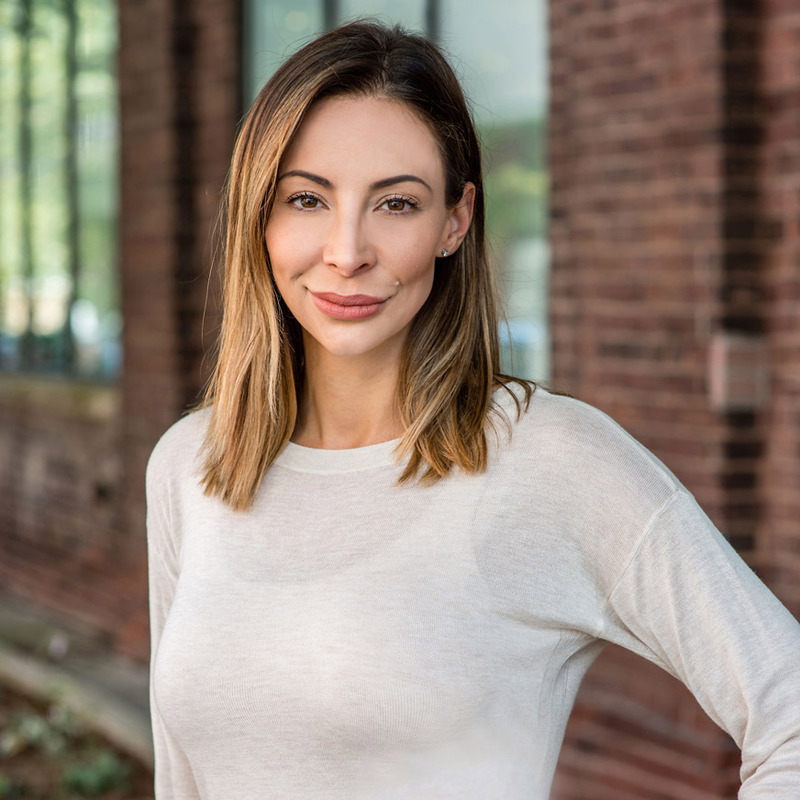 She is passionate about using narrative and empathy to build authentic connections that work towards positive change. 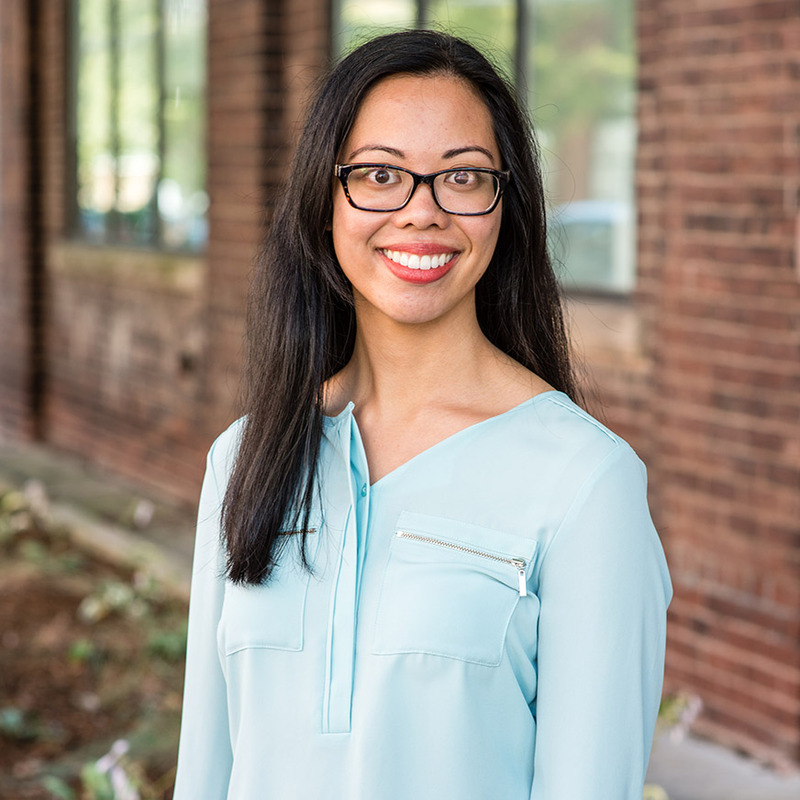 Always searching for ways to combine storytelling and social change, Camille is excited to use her liberal arts and nonprofit background in designing more inclusive communities. Camille is constantly in awe of how everything is connected, and is excited to see how the IDS program practices this truth. She is looking forward to start this new chapter and learn how to help people in the most thoughtful and sustainable way possible. Camille adores immersing herself in nature and culture, whether it’s in the GTA or abroad (museums and musicals are two of her favourite worlds). She is a Hufflepuff, Airbender, and Leslie Knope, and will instantly become your friend if you recognize any of these pop culture references. 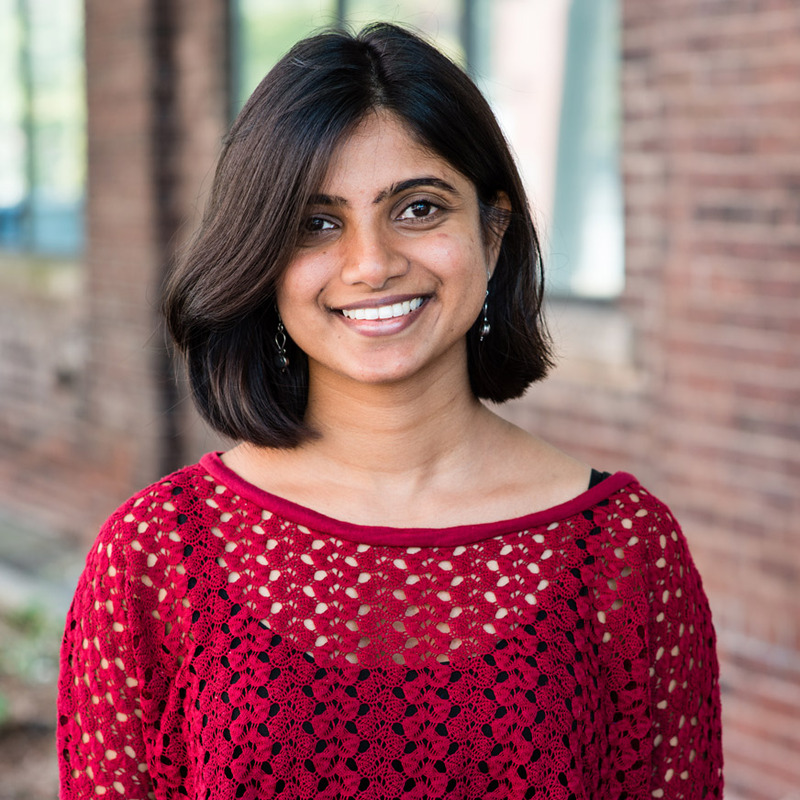 Vindhya is fascinated by the impact of design on creating social change. Raised in Bangalore, India, her education in Architecture exposed her to the many factors that influence design - from sociology and history to climatology and structures. She completed a course on Earth Architecture where she learned about the importance of using locally available building materials and went on to work as an architect for a year. Her desire to create a positive social change led her to join the Teach For India fellowship where she taught primary school children from low-income backgrounds in the fishermen community in Chennai, India. It was during this time that she learned to use human-centered design as a tool to create a positive impact in her school and community. Her passion for design thinking and its practical applications led her to join IDS. Her other interests include karate, yoga, dance, local theatre, and traveling.